SaniOutlet.nl (Chamber of Commerce: 59,889,144), hereinafter SaniOutlet.nl, hereby grants you access to sanioutlet.nl ( "the Website") and invites you to buy from the offering. SaniOutlet.nl thereby reserves the right at any time to modify or remove parts of the content without being over having to do you notice. SaniOutlet.nl endeavors to update as often as possible the content of the Website and / or supplement. Despite this care and attention it is possible that content is incomplete and / or incorrect. The offered materials available on the website without any guarantee or claim to correctness. These materials can change at any time without prior notice SaniOutlet.nl. Specifically for pricing and other information products on the website are subject to apparent programming and typing errors. You can SaniOutlet.nl can never accept liability based on such errors claiming no agreement SaniOutlet.nl.Voor on the website included links to sites or services of third parties. All intellectual property rights concerning these materials are at SaniOutlet.nl. 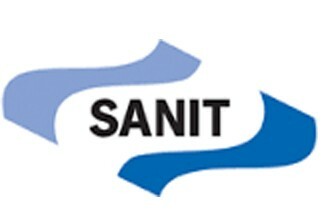 Copying, dissemination or any other use of these materials is not permitted without written permission of SaniOutlet.nl, except and only to the extent provided in regulations of mandatory law (such as the right to quote), unless otherwise indicated in specific material.